It’s National Spring Cleaning Week! In celebration of the cleanest week of the year, the Huffington Post offered a handy list of 10 ways to de-clutter your closet. #8 on the list just happens to be "Get rid of unwanted junk." I don’t know about you, but unseasonably warm weather over the weekend resulted in my closet looking like a clothes bomb went off. In a desperate attempt to find something green for St. Patrick's Day, I started pulling out my big plastic bins of summer apparel. Tossing aside anything less than leprechaun green, I began to notice an exorbitant amount of items that have hardly been worn. I knew at that moment it was time to D & D: de-clutter & donate! Inspired, I began furiously sorting through my entire wardrobe making a point to donate any item I hadn’t worn the previous summer or within the last three months, including winter items. Now two days later, I have six bags of clothes sitting by my door that will be donated to The Salvation Army and made available to someone in need. What’s better than seeing my floor again? 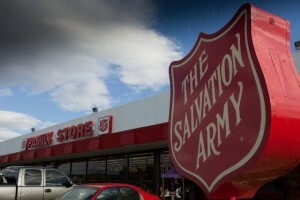 Every penny received from the re-sale of those goods will help fund The Salvation Army’s Adult Rehabilitation Center’s – places of spiritual and physical therapy for approximately 325,000 adults in need each year. Considering tomorrow is officially the first day of spring, it’s the perfect time to help someone else get a fresh start. 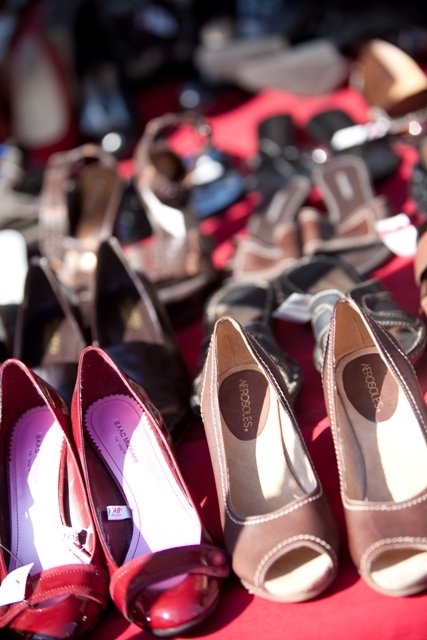 Want to know where to drop off your unworn items? Visit www.SAtruck.org. Your donations are appreciated!